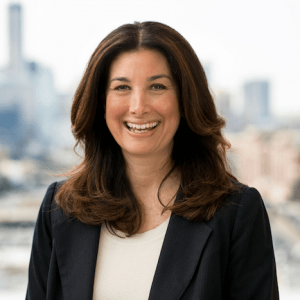 Editor’s Note: The following article is based on Rachel Orston’s presentation at SaaStr Annual 2018. You can see the full presentation here. Unfortunately, this step is often skipped as companies quickly try to move straight into retention. Getting user adoption right is hard work, but without it, retention, expansion, and advocacy become significantly more difficult to master and leaves your organization vulnerable to preventable churn. It’s the bedrock of any best-in-class customer success strategy because it sets the foundation for users’ understanding of and success with your company and your product. When you make user adoption a key company strategy, customer success transitions from a department to an entire company philosophy. It’s truly amazing what happens when marketing, sales, customer success, product, customer support all embrace user adoption. I’m sure most of you have read Tomasz Tunguz’s illustrative blog post about the math behind how a business with a -5% monthly customer churn rate can see an additional 73% in revenue annually versus one with a 5% monthly customer churn rate. That’s huge! And while I want to acknowledge that churn has completely legitimized the customer success role, it’s also driven many companies to act from a position of fear, and that in itself is a weakness that I want to address. I think customer success was inherently born out of churn and that’s a tough starting point. It means we’re working from a place of reactivity to churn instead of proactivity against it in the first place, making it harder for us to progress as an industry and match our customers rising expectations. 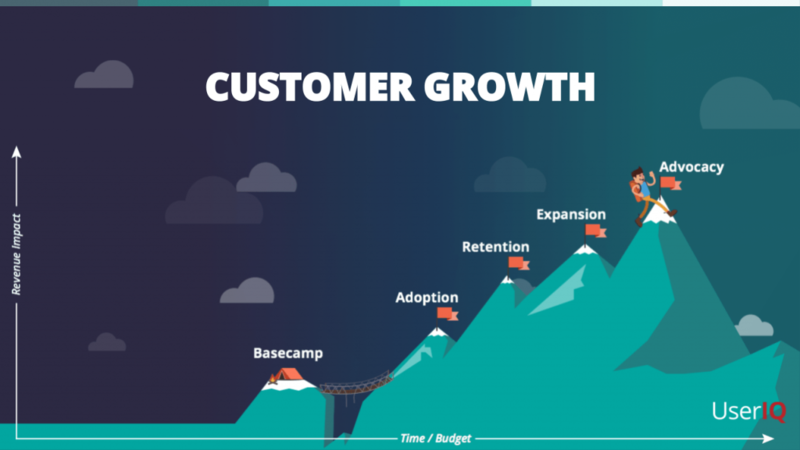 At UserIQ, we look at customer growth as a company-wide, multi-step journey through several phases – retention being just one of them. It’s not a walk in the park; it’s more like a series of steep climbs you need to get through. It’s hard work. In this journey, many companies are still trying to get their act together and figure out where to even start. Often they want to skip right to customer retention and expansion because that’s where the money is, but here’s what I’ve found: there are no shortcuts on the journey to customer growth. Too many companies (my own experience included) have skimmed or even completely skipped over adoption and have paid the price for doing so in that they miss out on building stronger foundations for their users. Your users are your buyers. Onboarding and adoption is happening before purchase. Your longtail is your secret marketing weapon. Let’s assume you are a fast-growing SaaS platform with 10,000 customers. Even if freemium is only 20% of your revenue, if it represents 2,000 customers that are happy, spreading the word, tweeting, telling their friends … that’s powerful. All the best software companies are built on word-of-mouth. The more happy customers you have, the faster that positive word-of-mouth spreads. Adoption is also critical to product managers who want to ensure that the products they build are being used in the way they intended and that users are getting the value they require. And because adoption tactics can often be baked into the product itself, product managers are paying more attention to not just what they are building, but making sure these tactics are connected to both a bigger “Why” and WOW! opportunity (more on that below). So here are a few of the fundamentals to master that will help you drive stronger user adoption and WOW! your users to becoming your advocates. One of the best ways to get at the “why” of user adoption is to ask yourself “Who are my best customers?” We have a ton of new tools available to us now that help us see who our at-risk and possibly our “worst” customers are (i.e. the now familiar “health dashboard”), but to me, it’s more important to know what makes a great customer. I’m constantly surprised by how often I ask “Who are your best customers?” and hear crickets. We tend to dig deeper when fear of churn is front and center and we don’t take the time to understand specifically who our most successful users are, what actions are they taking in our platform to achieve desired outcomes, and why. Even though these “best customers” are the exact people for whom we’re building our products. Once you know who your best customers are, you can start to identify the WOW! moments that got them there. 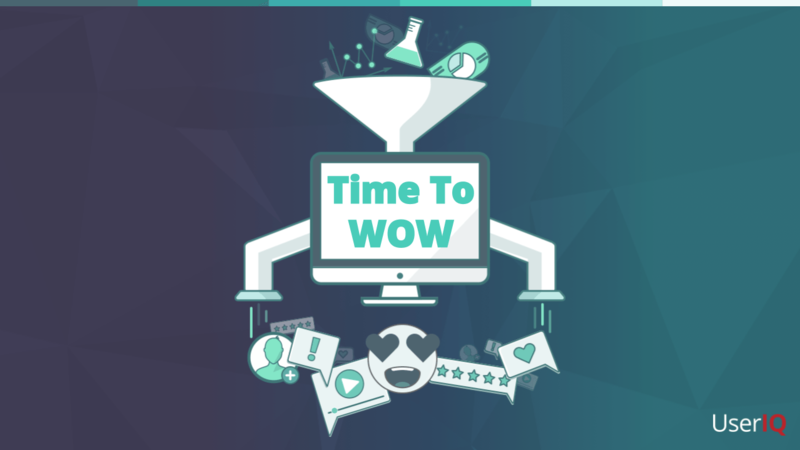 Invented by David Skok, a WOW moment refers to the moment where your user suddenly sees the benefit they get from using your product and says to themselves WOW! Even better, a WOW! moment might result in a conversion activity for you, like trial to paid or an upgrade from one version to the next. So what are your WOW moments? What are the top reasons that people come to you and use your application? What value and business outcoming are you providing? The usefulness of each of your features and their ability to generate WOW moments is what matters. Users want reasons why they should adopt your product. They need to see the bigger payoff. So start asking yourself: Why is your application part of your customers’ tech stack? What is motivating them to stay subscribed month after month? Segment the actions your most retained users take and compare that against your most most churned users to see if there is a list of actions that have no correlation between the two. However, chances are you won’t get that lucky and it’ll take a little more digging. You’ll also find some value in taking a smaller sample of a few retained users and a few churned users and seeing where there is correlation and/or no correlation. But finally—and this is where the real money is—compare most of your retained users to a few of your churned customers. You’re looking for correlations here that help you get at what exactly your users are trying to solve for with you product. If you are just getting up and running and don’t have a large sample size or aren’t collecting this data yet, just pick up the phone and ask! You will be surprised how much your users will share with you if you’re just asking for input and not selling them something. Getting to the “what” and the “why” will directly impact how you get to the WOW! and segmenting your users is a great first step to getting there. But, to answer these questions, you need data, and that requires departments in your organization to work in tandem. The best place to look for your what’s and why’s are most likely within your Product and Customer Success teams. The problem is that they are often focused on those areas separately and they do a mediocre job merging to two, if they’re doing it at all. In fact, most of the time, these teams live in separate applications and are looking at completely different sets of data even though they often want to answer similar questions when it comes to user adoption. Last year, we facilitated a benchmarking survey in collaboration with SuccessHacker and ProductCamp to hundreds of customer success and product management executives to find out how these two teams work together today. This survey was the first of its kind and we uncovered so much insightful data, like the fact that 80% of product and CS teams work with separate applications. We also found that most respondents felt least aligned on who their ideal customer was. That’s concerning to think about when knowing your customer and understanding your users is so critical to your success as a business. Regardless of what role you’re in, if you asked your peers in other departments who your best customers are, would you all come up with the same list of common characteristics? Not knowing your audience is pretty scary, and becomes even more complex when you have different types of users and multiple product lines. Without understanding the needs, characteristics, and expectations of your customers, you leave open the potential for miscommunications, an inability to tailor your efforts, and misguided direction on how your product fits into their day-to-day. One way to go about aligning your customer success and product teams toward the customer and their success is to consider how you can merge your efforts. Take a look at the success flows your customer success team is thinking about (moving customers along the customer journey) and the user flows your product team is thinking about (guiding users through key features) and look at ways you can combine these into one map of the customer journey as it relates to your product. (Click the image above to see the user flows). The takeaway here is to bring together your product and customer success teams more often to discuss what they’re seeing, to share data, and to ultimately come to a conclusive idea about who your ideal customer is and how you can WOW! them both online and offline. Do they lack resources or capacity? Has something in the organization changed? Did your champion leave the company? Were they promoted? Bigger strategic issue or priority (i.e. acquisition)? Invite them to write a blog post or speak at an event to discuss their success and advice to other users who most likely share similar aspirations. Here are my final thoughts: If you are already tracking logins and clicks and product engagement, that’s great! But do understand that adoption is just not about activity, it’s about building confidence in your product and in your product’s vision and mission. Then you are grasping the fundamentals of user adoption. You are building a foundation that isn’t built on getting rid of churn, you are preventing it from happening in the first place. And in the process, building a really strong fortress against other competitors to come in. Because if you don’t WOW your users, someone else will. We have spent the last decade focusing on the buyer and the buyer journey, but everyone has woken up to the fact that customer success is the engine to incredibly exponential growth. User adoption is the FUEL to that engine. This article was inspired by a recent presentation I gave at SaaStr Annual 2018. You can access the full presentation deck here.